Below are general questions and answers relating to important legal matters such as filing a lawsuit and estimating the value of a case. For more information, contact the practice of Provo personal injury lawyer Lynn Harris. Q: Will my lawyer file a lawsuit? A: Most cases settle before there is a need to file a lawsuit. Sometimes, however, a lawsuit is the only option when the at-fault insurance company will not negotiate in good faith. If your case cannot be settled, we will discuss with you the alternative of taking your case to court. Q: How soon will my case be settled? A: Every claim is handled on a case-by-case basis. No two people recover from injuries in the same time frame or under the same conditions. Generally, your length of treatment and time of rehabilitation determines the length of time it takes to finalize your claim. We are anxious to negotiate your claim with the responsible insurance company(s) and will proceed as soon as you and your doctor(s) allow us to begin. A: You may be entitled to present a claim for your lost wages. When your assigned doctor gives you a “no-work” order, you may, based on the facts in the case, be entitled to recoup lost wages. Never take time off work unless your doctor states in writing that you should not work. Otherwise, it may hurt your case. Provo car accident attorney Lynn Harris will provide you with a worksheet to help you identify your lost earnings. Please keep track of your lost wages, as your employer may not. A: No one can accurately predict the value of your case until all facts have been collected and reviewed. During the scope of your case, unknown factors sometimes appear or problems arise that change the financial value of your case. Regardless of the circumstances, attorney Lynn Harris will consult with the doctors treating you, in addition to other experts, to arrive at an estimated amount of compensation that we feel is fair and reasonable. 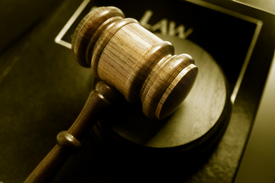 We will then strive to obtain the compensation you deserve in the most expeditious way possible. For more information, contact our practice today.